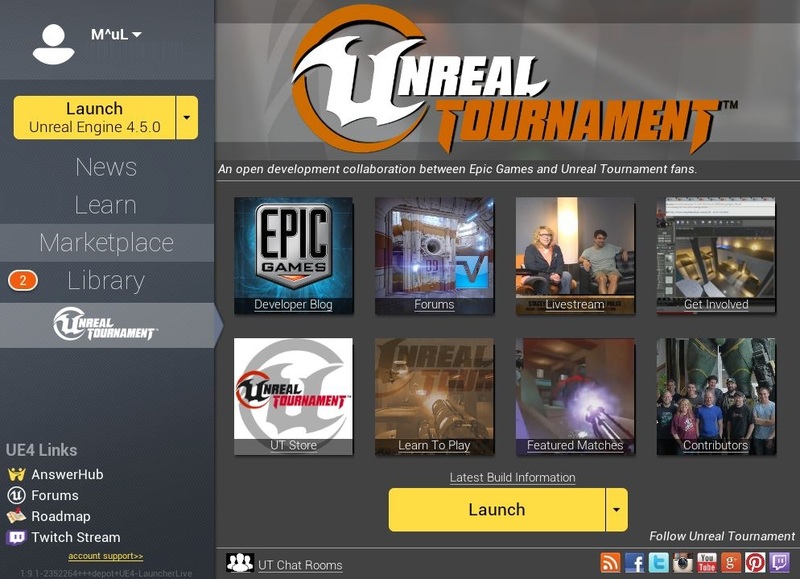 I recommend everyone playing the UT pre-alpha to use the Unreal Engine Launcher interface. I experienced a version mismatch this weekend between the forum download version and the launcher version. I think the plans are to get everyone switched over to the launcher anyway and to deprecate the forum download links. You will also have much smaller weekly downloads if you use the launcher version. If you already have an Unreal Engine 4 subscription, you already have the launcher. If you don’t, you can go HERE and download it separately and use it just for UT.